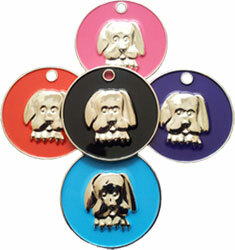 These hard wearing, superb quality dog tags are excellent value, available in various styles and colours and sizes. 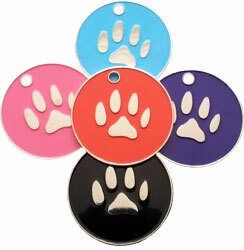 Perfect for dogs and cats alike, or any other pet that wants to stand out in the crowd. Nickel plated to the reverse side allows personalised free engraving of your choice. 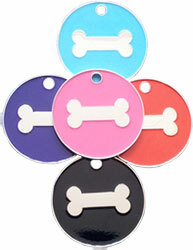 These are one of the hardest wearing tags available, supplied with a free split ring.